Behindthechair.com (BTC) is an online-based company that provides education, retail and industry-related information to salon professionals. 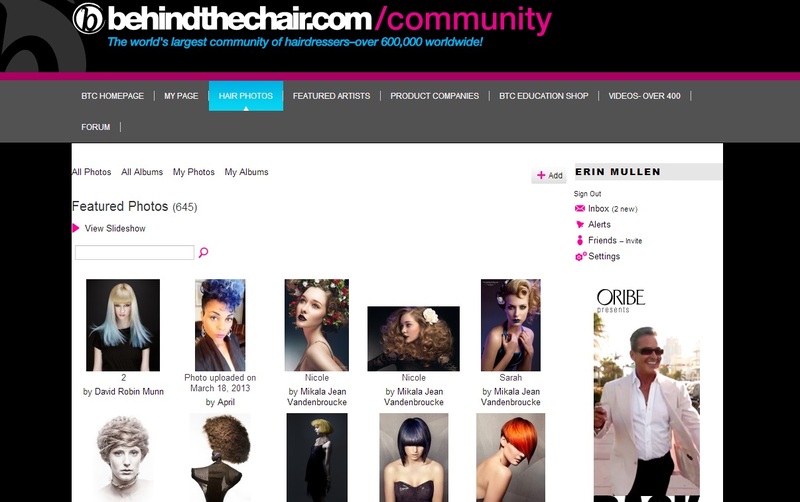 With over 600,000 members world-wide, behindthechair.com has built a strong reputation withing the salon industry. 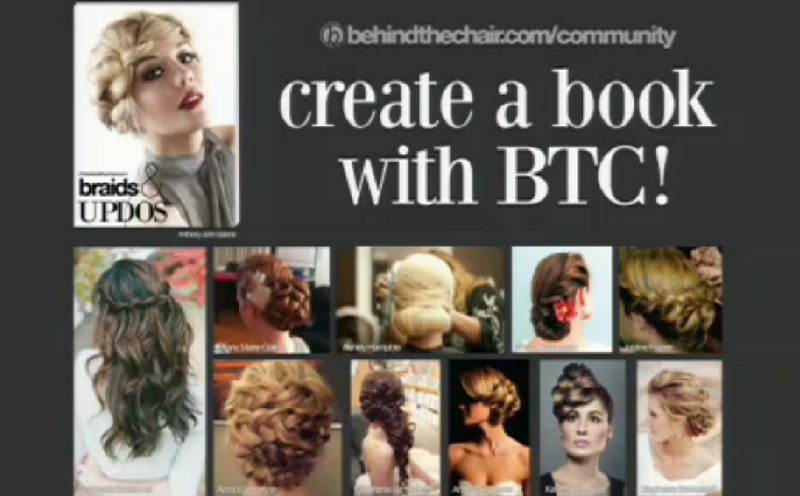 About a month and a half ago, BTC launched its own virtual community on behindthechair.com. This community is open only to salon professionals (stylists, make-up artists, estheticians, owners, etc.). It is a place where stylists can create a profile, upload and share their professional work and interact with each other. Other websites have attempted to create virtual communities in which stylists can create and share their work, but have not been successful in doing so. The initial concept behind these sites is genius, but they all seem to fail when it comes to gaining awareness and engaging social media, making it impossible to achieve success. This is where I think that BTC stands out and why it will become the go-to community for salon professionals to interact and upload their portfolios. First of all, behindthechair.com already has a name for itself and a large following, which gives this new community a great platform right off the bat. On top of that though, BTC does a phenomenal job of engaging their audience, especially via social media (i.e. competitions, personal responses, etc.). Upon launching the new community, BTC sent out one email promoting a hair color competition in which stylist could have their work published in BTC’s book or magazine to encourage stylists to join the community and upload images of their work. According to Mary Rector-Gable, founder and President of behindthechair.com, within 5 days there were 8,000 pictures uploaded from over 4,000 people to the site (Stylist Choice Awards, 2013). There are currently over 5,500 members registered on the BTC community. This community does more than just allow stylists to interact and share work though. Making this new community available through BTC’s website will also encourage salon professionals (BTC’s primary audience), to engage with the rest of the site more regularly, which I would imagine, will result in a positive correlation to increased sales. My only suggestion for the BTC community would be to integrate a component that would allow clients and potential clientele to browse stylists’ work. For example, someone looking for a new stylist might be able to search and view the images of stylists in their area. If said potential client likes the work of a specific stylist, they could call the salon and schedule an appointment or consultation. Stylists would just need to provide their salon name, number and location. While something like this could be done as a separate site that links to uploaded images, I think that it would be more effective as a part of the existing salon community; however non-professionals should still not be able to attain membership and access features such as industry education. This would encourage stylist to post more images and it would draw a larger audience to the site. While salon clients may not be interested in salon education, they could be interested in making a purchase from BTC’s retail store either themselves or when looking for a gift for their stylist.